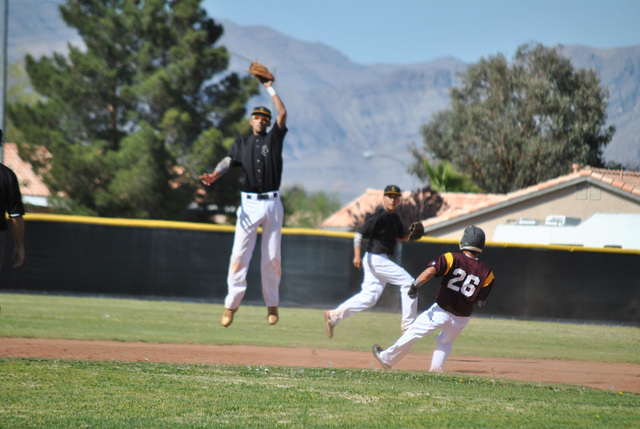 Trojans baseball, since the one defeat to Faith Lutheran, keeps piling on the victories. On Wednesday afternoon they took it to Cheyenne and beat them 8-1 on the road. 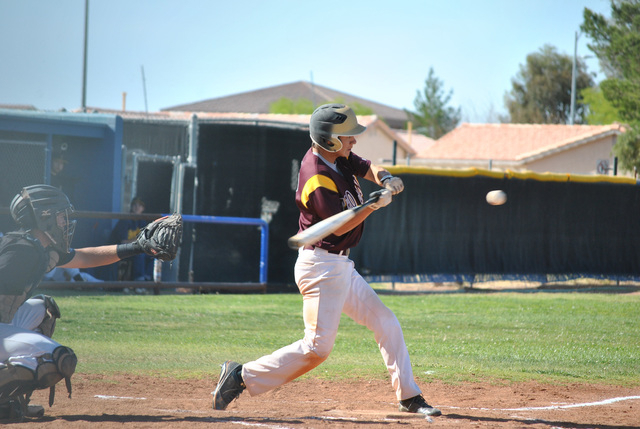 Pahrump scored 1 run in the 1st, 3 in the 2nd, 2 in the 4th and 2 in the 7th. Eduardo Gonzalez was the pitcher of record and he gave up 4 hits and had 3 strikeouts for the win. Trojans Coach Brian Hayes was happy with the team performance. “Eddie pitched a great game and defensively we made a few mistakes, but we made the plays we needed to when runs were on the line. Offensively, we had 11 hits, with AJ and Richard collecting two hits apiece,” he said. In addition to the Trojans’ timely explosive offense, Cheyenne gave up 6 errors in the game. AJ Segura went 2-2 with 1-2B and 3 RBIs. The The Trojans still have a tight grip on second place in the Sunset League. The maroon and gold improve to 5-1. The Trojans softball club had something to prove after losing to Cheyenne at home 2-1 during their home opener. It was a win-win day in Cheyenne, as the Lady Trojans also beat up on the Desert Shields, taking them 9-4 and leaving no doubt that they were the better team. The girls scored 1 run in the 1st and 1 in the 5th. Cheyenne took the lead in the 4th, 3-1 and added a run in the 5th. Troy did not give up and exploded for 5 runs in the 6th and then 2 more in the 7th. Whitney Roderick went 7 innings and was the winning pitcher with 6 strikeouts, 4 hits, and 3 earned runs. The Pahrump defense had just 2 errors on the day. As far as offense, Roderick helped herself again and went 2-3 with 1 hit, 1-2B, 1 RBI. Kristal Kaiwi also had a triple. The Trojans improve to 4-2 for a tie for second place in the division with Cheyenne. Faith Lutheran remains in sole possession of first with a 6-0 record. Both baseball and softball play Desert Pines away on Friday at 3:30 p.m.